Multnomah County library system vies with popular streaming services at an increasing cost. Could the next big tech disruption emerge from the same place as the Dewey Decimal System? 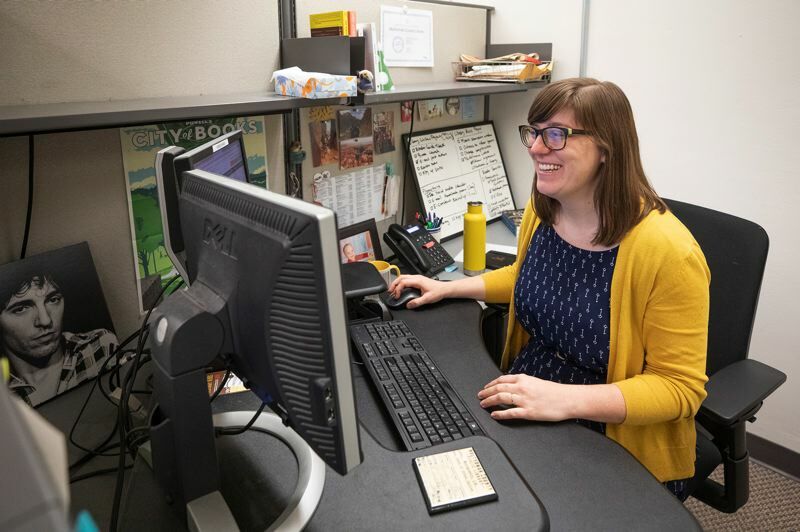 The Multnomah County Library offers the same services — including instant streaming of tens of thousands of TV shows and movies — as subscription-based companies like Netflix, Hulu and Amazon Prime. 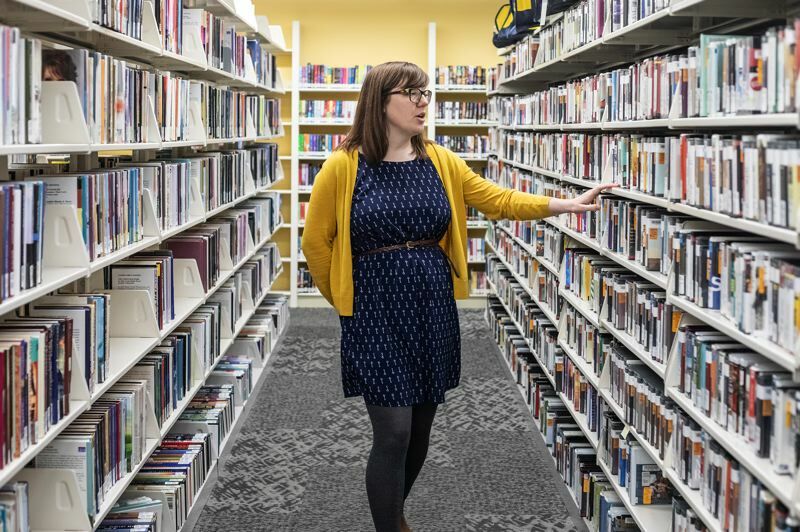 And while the county's librarians aren't exactly lobbying patrons to cancel Kindle or give the axe to Audible — the two services owned by Amazon — they're managing online stockpiles of e-books and audiobooks that number in the hundreds of thousands. "You can get it from Audible, or you can get it from the library for free," said Electronic Content Librarian Kady Ferris. "We're here to give people the book they want, whatever format they want." The transformation from dusty shelves to a genuine digital depository comes with an ever-increasing price tag: county librarians are on track to spend $2.68 million in fiscal year 2019 on digital purchases, or about 34 percent of the overall materials budget. That's about $600,000 more than the library system spent two years ago, when digital offerings made up only 28 percent of the pie — and more growth is in the headlights. The OverDrive app for e-books and audiobooks picked up 10,000 new users last year and has a total customer base of 41,000, according to Ferris. In the first two months since a film-streaming service was added on Oct. 1, watchers churned through more than 10,900 movies at a cost of more than $21,000, according to a public records request by the Portland Tribune. The array of digital offerings poses a new challenge for librarians grappling with pay-per-download contracts and patrons who never set foot among the stacks. In fact, more people now access the library every day by using its website rather than visiting a branch. "The library is more than a building with books," said Shawn Cunningham, the library's communications director. 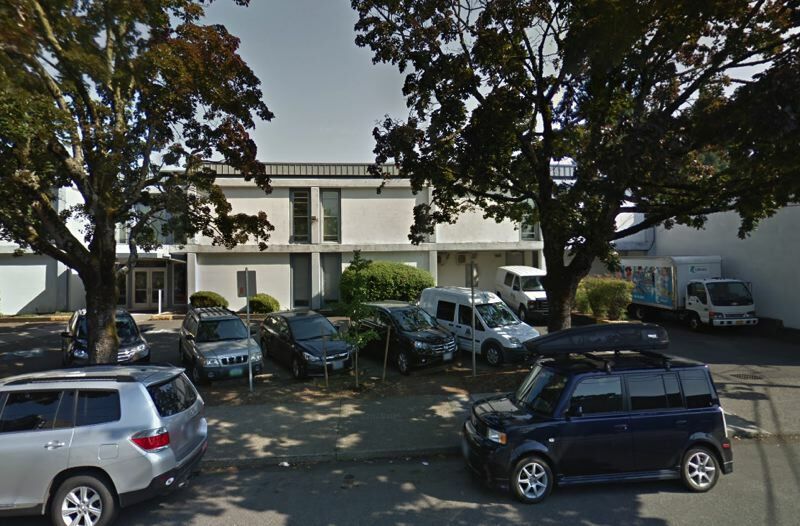 "Connecting people to free high speed internet and providing top-notch electronic content on demand makes the library even more vital for lots of people in Multnomah County." From her workstation inside the Isom Operations Center, 205 N.E. Russell St. in Portland, Ferris is the cardigan-clad supreme commander of the "E-books and more" section of the library's website. 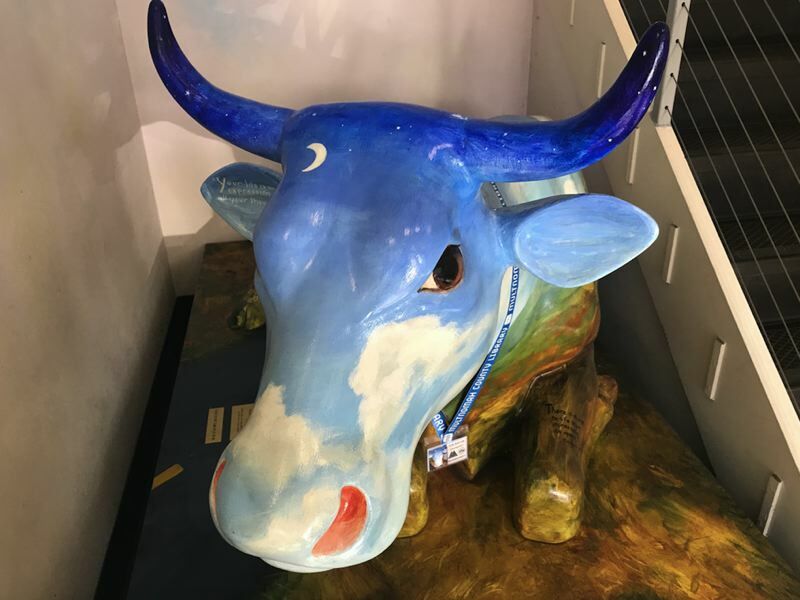 The 34-year-old is tasked with constantly refreshing the selection of e-books and audiobooks on the third-party app OverDrive, which she said is used by more than 5,000 local patrons per day. As is typical across the country, the captive demographic is older and female — and the latest craze during a mid-December interview is procuring enough copies of "Becoming" by Michelle Obama. Ferris pages through Library Journal, Publishers Weekly and Kirkus Reviews to learn what's hot off the press, but said readers seem to pay special attention to the critics on National Public Radio and in the New York Times Book Review. "It almost doesn't matter how it was reviewed, they just want to read it," she said of those publications. The largest buckets of electronic content at the library are OverDrive (offering e-books and audiobooks); Hoopla (online streaming of music, video and comics); Kanopy (streaming video); and RB Digital (magazines). The library shells out $1 for every copy of The New Yorker or Us Weekly, $1.85 for each stream on Hoopla and $2 per stream on Kanopy. OverDrive is different, Ferris said, as publishers license e-books as if they were a physical object, not an endlessly reproducible packet of data. Some book publishers will sell the library 20 or so downloads, and then the e-book expires. Others will allow unlimited downloads during a one-year contract. Only certain titles can be purchased once and forever. "We are really format agnostic at our selections office," Ferris said. To be sure, the library's streaming services won't satisfy bingers who would easily run up against the monthly caps of six to 10 items per month. About 500 to 600 users max out on Hoopla each month, out of a total of 3,400 monthly borrowers. OverDrive limits users to 20 checkouts — no different than the limit for print readers. "We're adapting to patrons' needs and desires," said Ferris, "and there's only room for us to expand." Not everyone is convinced that print is dead. With a freshly purchased copy of Street Roots close at hand, it's little surprise that library user Lucy Barnett has stuck with ink. She admits to watching TV on Netflix and Amazon, but if it's "something where there's information I want to keep or really concentrate on, it has to be paper." 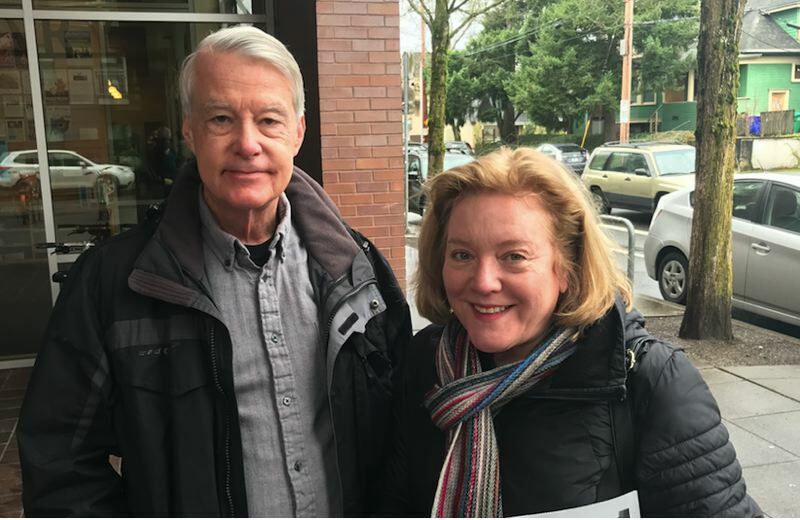 Jana and Steve McBride have been proud card-holders since they moved to the Rose City in 1985, and have adapted to watching shows on Hoopla and Kanopy as well as checking out CDs and DVDs. Steve said he was pleased to find a copy of the psychological horror film "The Tenant" on Kanopy, but on this day they're just picking up a hardback Trader Joe's cookbook from the Hollywood Library. "I'm a book lover, so books are No. 1 for me," said Jana. "That's what I primarily use the library for." Here are the circulation numbers for the top five most downloaded items on the Multnomah County Library's e-content apps, as provided to the Pamplin Media Group via a public records request.